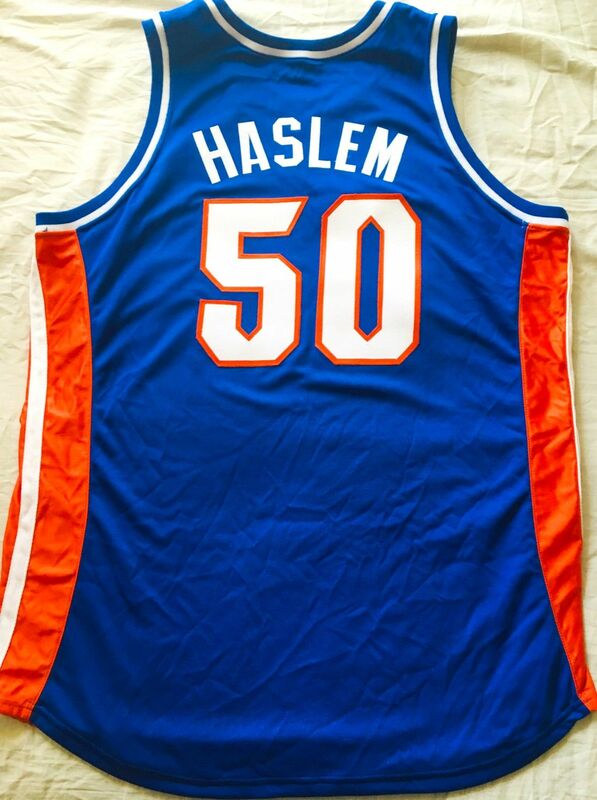 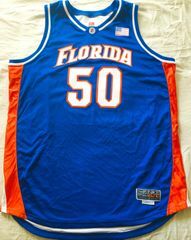 Extremely rare Udonis Haslem authentic Nike Elite Florida Gators 2001-02 season team issued blue size 54 (Length +4 inches) jersey with stitched-on cloth tackle twill double layer name and numbers and embroidered American flag patch. 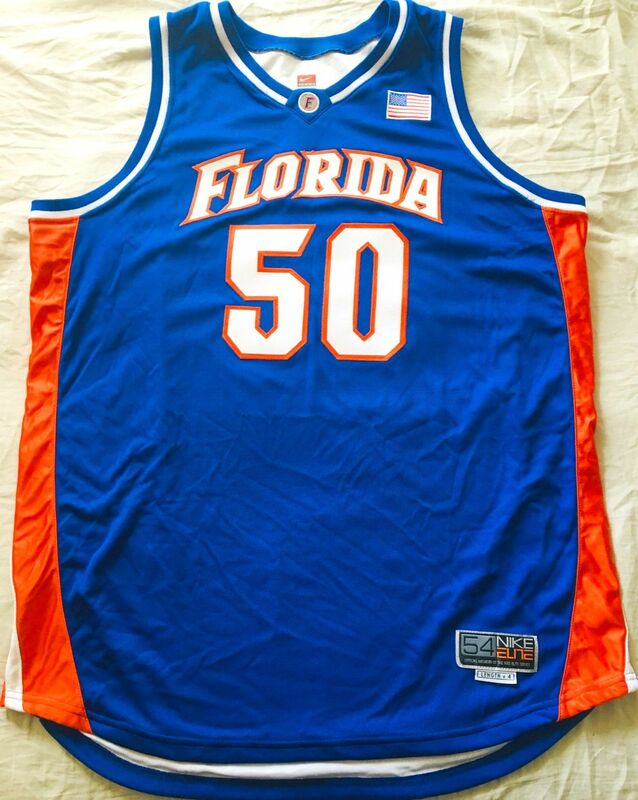 This is the exact style worn by Haslem and the Gators during his senior season. NEW, NEVER WORN (NO PAPER TAGS).